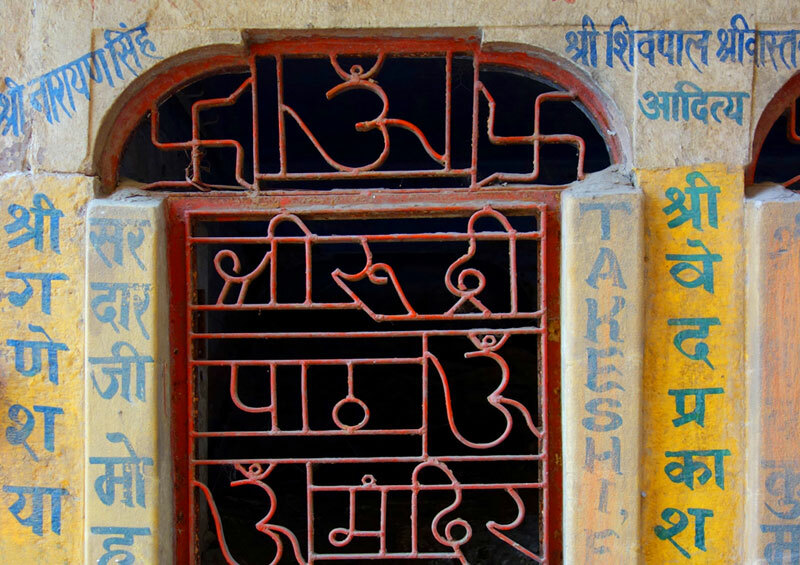 The day to day life of Kashi draws from diverse cultures and religions. 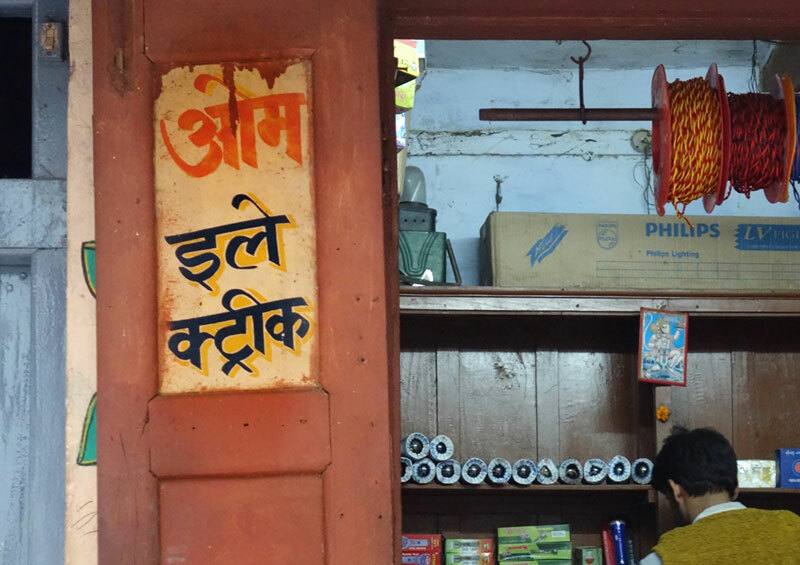 A short walk into the lanes and by lanes of Kashi takes you through a series of areas predominantly visited by Hindu's, Bengalis, Tamils, Koreans, English, Muslims, Malyali's, Andhra etc. 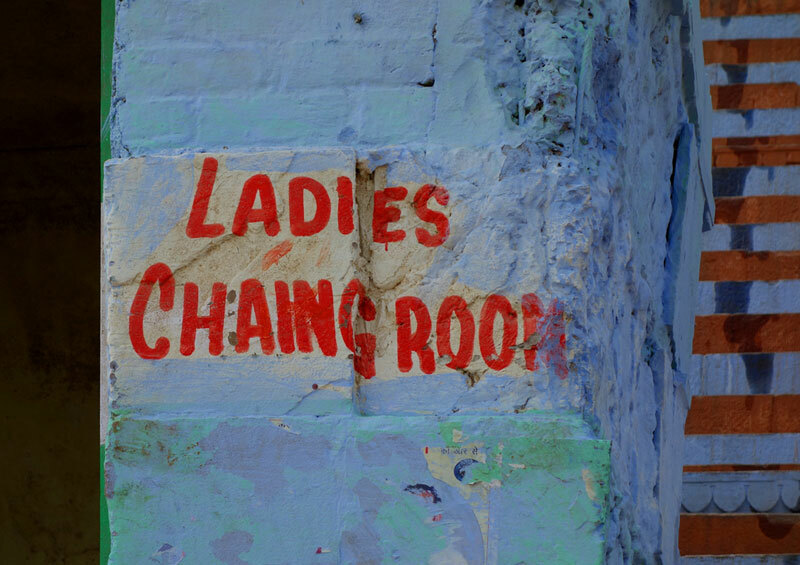 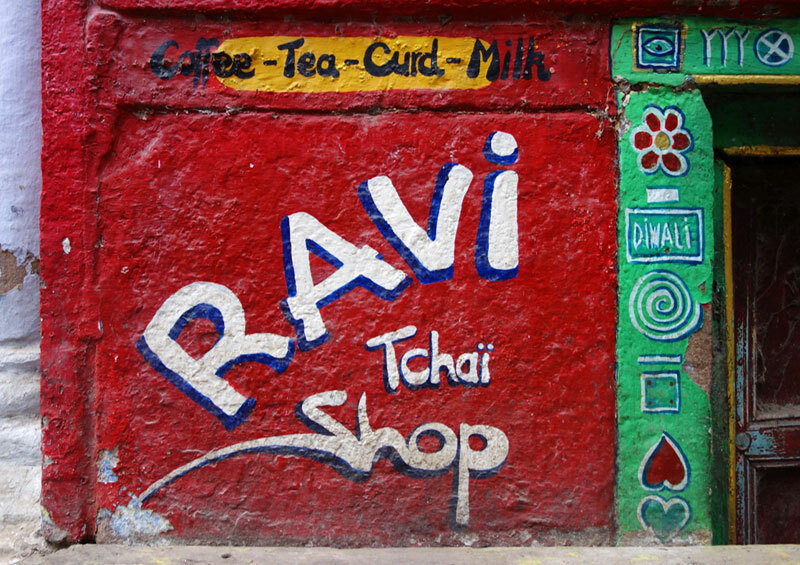 This is not only obvious by the types of shops, cafes and architecture, but is easily recognizable due to the bold signage's painted in various parts of the city. 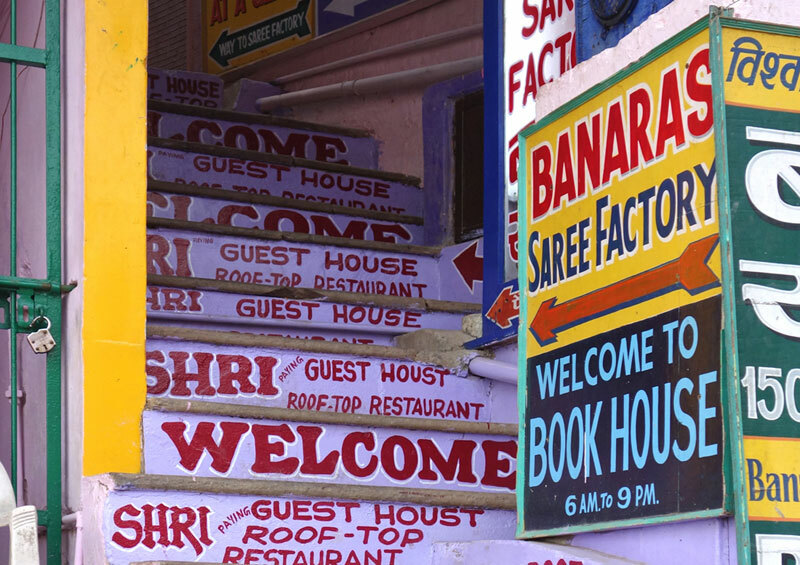 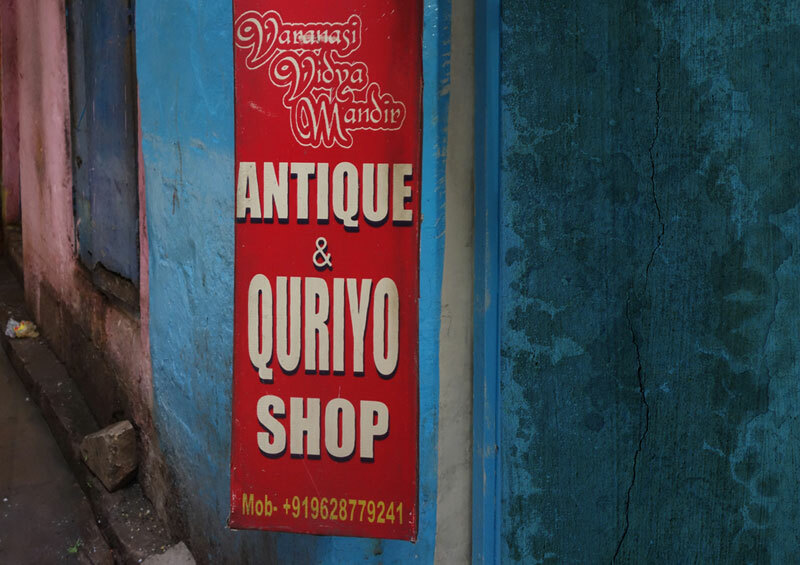 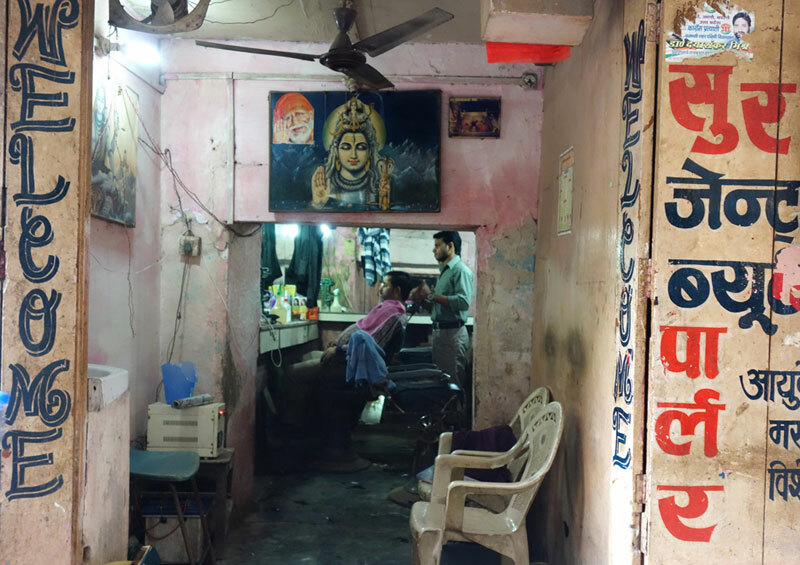 Confidently painted 'mistakes' like 'Quriyo aka 'Curio' and conveniently labelled shops, doha's deeply etched into walls, or metal grills bearing the name of the temple are all contributors to the beautiful hand done typography visible in all parts of Varanasi. 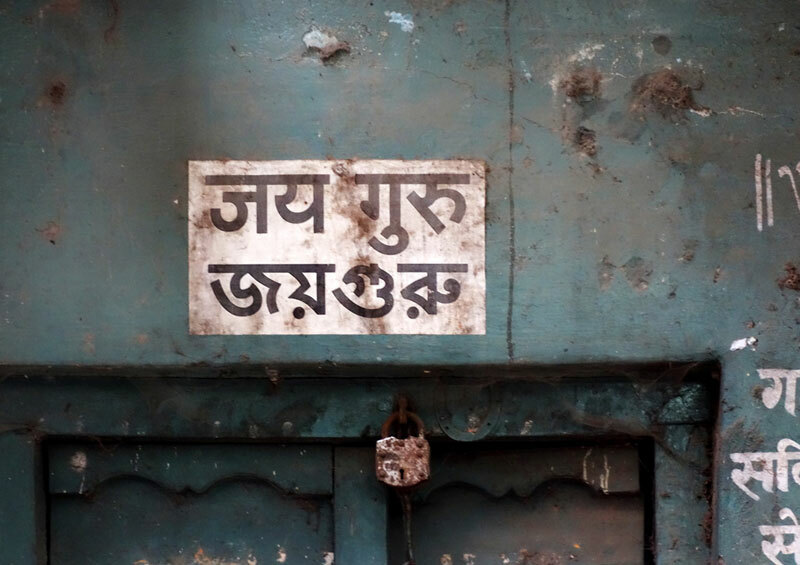 From an artistic viewpoint it is intresting to see how this typography has imbibed some part of the surface it was written on, or how a material like iron has been manipulated carefully to create words. 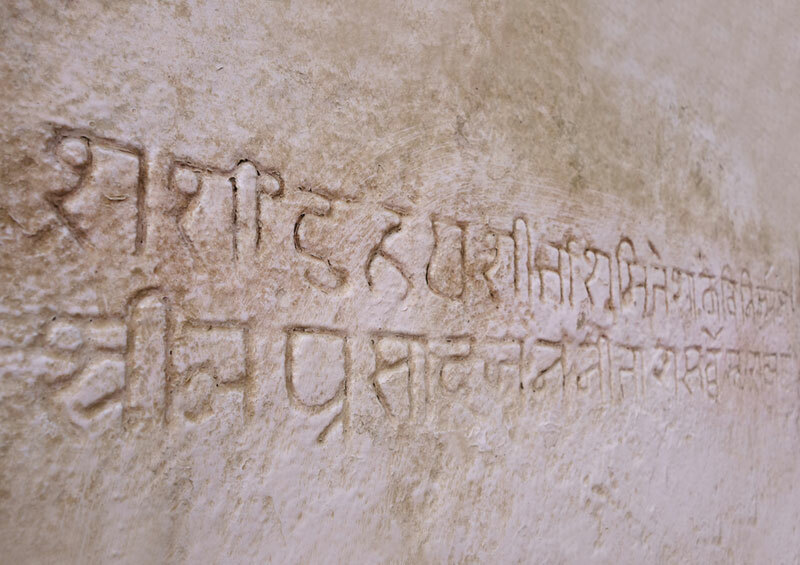 Even sand and cemented walls are not spared when a sholka or quote has been carefully etched into its surface, gaining readibilty over time due to the settled dust within its crevices. 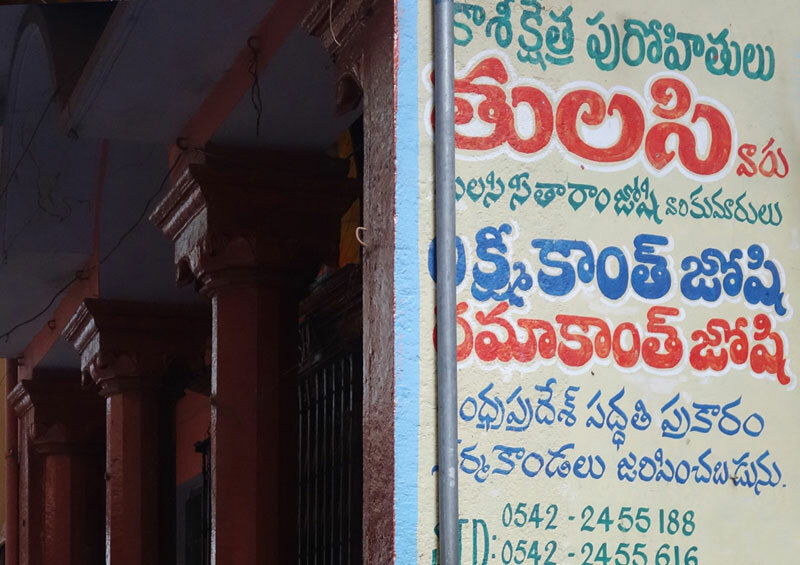 The purpose of a sign or a notice is to attract the public hence they may be complex or detailed, or for convenience be painted in a specific regional language in order to attract only a certain segment of people. 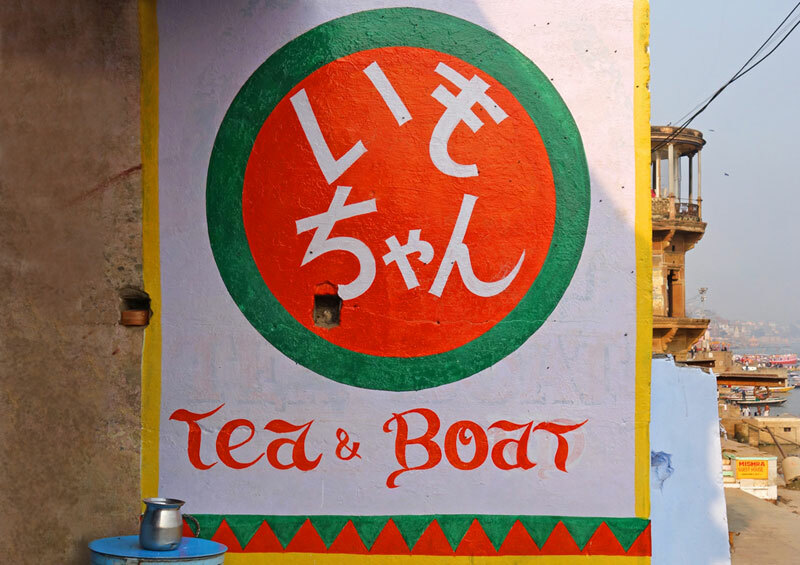 Peoples relation with words, and how they connect with them can be seen when 'chai' is written as 'tchai', or for instance when a simple teashop on the ghats is labelled aptly by Korean tourists as 'Tea and Boat'. 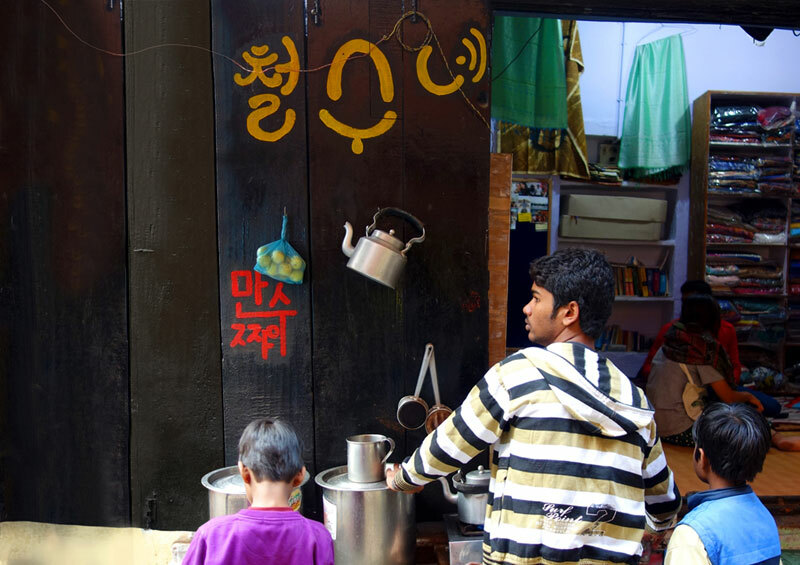 Words become visuals, they become sounds, they become the carriers of culture.